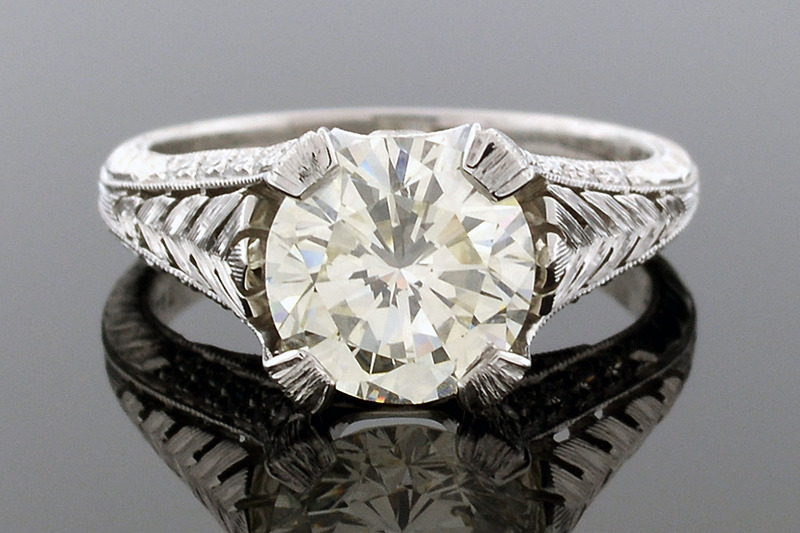 The most eye catching aspect of this ring is the intricate metal work running along the band. It has a carved, feathered design that catches the light beautifully. In the center is a 2.07 carat round brilliant diamond with a color grade of K-L and a clarity grade of VS1-2. The platinum mounting contains an additional 22 round brilliant diamonds weighing .28 carats. This ring comes with a report from the International Gemological Institute with an appraisal value of $28,090.